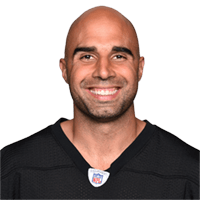 Published: Aug. 21, 2014 at 10:43 p.m.
Pittsburgh Steelers quarterback Bruce Gradkowski throws a 33-yard TD pass to wide receiver Darrius Heyward-Bey. Pittsburgh Steelers quarterback Bruce Gradkowski throws a 3-yard TD pass to wide receiver Martavis Bryant. Published: Aug. 24, 2013 at 11:54 p.m.
Pittsburgh Steelers rookie wide receiver Markus Wheaton hauls in a spectacular, over-the-shoulder touchdown catch from quarterback Bruce Gradkowski in the third quarter. Published: Nov. 21, 2010 at 04:58 p.m.
(3:40) B.Gradkowski pass incomplete short left to B.Myers (K.Fox).